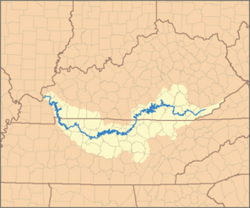 List of rivers in Kentucky (U.S. state). This list is arranged by drainage basin, with respective tributaries indented under each larger stream's name. 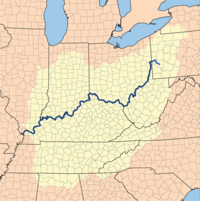 All rivers in Kentucky flow to the Mississippi River, nearly all by virtue of flowing to its major tributary, the Ohio River. 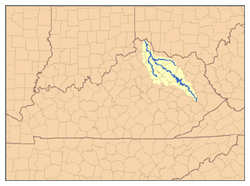 Also listed are some important tributaries to the few Kentucky rivers that originate in, or flow through, other states. 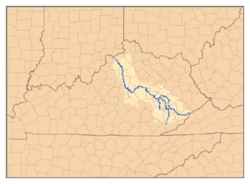 List of rivers of Kentucky Facts for Kids. Kiddle Encyclopedia.